The 60+ Oyster pass is a travel scheme provided by the Mayor of London and Transport for London. The pass allows free travel on buses, Tube, tram, DLR, London Overground and most National Rail services in London. Pass holders also get a discounted fare on River services and the Emirates Air Line. 60+ Oyster pass holders are not entitled to free travel on services outside of London. 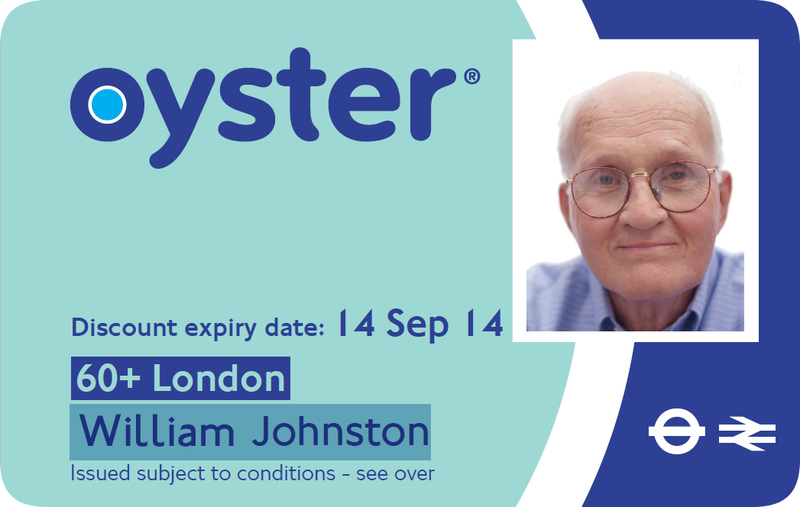 Once you become eligible for a Freedom Pass you are no longer eligible for a 60+ Oyster card. As long as you didn't opt out of TFL sharing your data with London Councils you will be sent a letter asking you to confirm your name and address. Once we have received confirmation of your details we will issue you with a new Freedom Pass. You do not need to re-apply or send us a new photograph. View the Freedom Pass privacy statement to find out what information we collect, why we collect it, and how long we keep your information for. If you do not wish to share your data or if your address has changed since you applied for your 60+ Oyster pass you will need to complete a separate application form for the Freedom Pass once you become eligible. If you have changed your mind about whether or not you would like your data to be shared please contact TFL on 0343 222 1234 to amend your record.